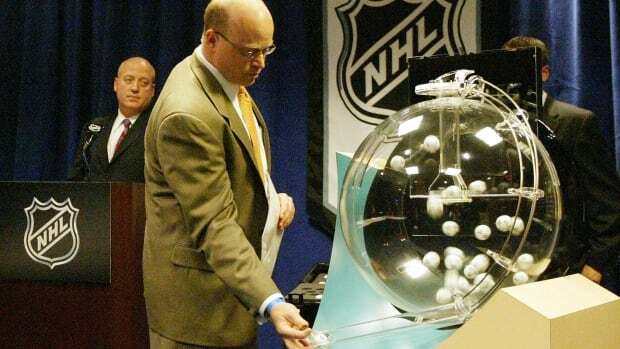 UPDATE: It has been confirmed that the Golden Knights do NOT have a guaranteed place in the lottery. This rule was removed prior to the final Expansion Draft rules being submitted. As the big day comes closer info about the Expansion Draft and Las Vegas’ positioning in the 2017 Entry Draft continue to leak at an alarming rate. Giddy Up! Fighter’s chance to pick first and a very strong chance to pick top 3… we’ll take it. The odds of the team picking in the top 4 should be close to 70%. Oh, hell yes! Even if the new team wins the Stanley Cup, they’ll be in the lottery the following year with a chance (while very slim) to get up into the top three selections. More importantly, this completely takes away any thought that the team may tank the first few years in order to move up in the draft. Make the playoffs or not, Vegas will have some ping pong balls that could bring the next superstar. Note: We are questioning this rule a bit. Friedman is the only source on it, and while we normally believe him, it just feels too good to be true. If/when we get more info on it, there will be a full post dedicated to it. Expansion team can trade any player to any team except their originating team until January 1st, 2018. Wish they didn’t have the caveat about sending players back, but it was to be expected. Otherwise, this is a plus. Final value of the 30 players selected in the Expansion Draft must exceed 60% of the salary cap and cannot exceed 100%. The floor can be a slight problem as it will only leave a max of 40% of the cap available to work with after the Expansion Draft. They’ll be forced to take on a few bigger contracts to ensure they get to the number and will not be able to draft as many young players to stash in the minors. The fact that the team is allowed to hit 100% of the cap is a plus however. There have been salary ceilings for expansion teams before, it’s nice we won’t have to deal with that. All in all, rate this one as bad for the long term of the team, good for short term success. Expansion team will be required to select at least three goalies, nine defensemen, and 14 forwards. This probably would have happened anyway, but I’ll mark it as a slight negative, because any parameter that forces the team to do something is bad. Hopefully there aren’t too many of these. Vegas wants every player with an NMC to be forced to be protected. Also not good. Can’t see too many players doing this (why sign a contract with an NMC if you don’t want it), but there are scenarios where it may pop up. Means Las Vegas will be even more hesitant to take on some bad contracts. This one isn’t good for us, but it shouldn’t be too debilitating. All in all, it’s mostly good news for Las Vegas, but we are starting to notice some restrictions popping up. In my opinion, the most important rule has yet to be addressed, expansion trades. Any restrictions on expansion trades will be devastating to the long term health of the Las Vegas franchise. Coming into the league alone will give the new GM hundreds of players to make deals with. Is it June 22nd yet!?! I’m ready to go baby! You should check out “Cap Friendly” among other sites… According to them Fleury has a Modified clause where he lists 18 teams to be traded to while listing NMC to him. They have a Players feature you click on that, then can list them by NMC. Remember its 30 players so 14/9/3 gives the 26 go field a legal NHL team while 4 players who can pick that are best options. They want to make sure they have 12 forwards, 6 Defense, while giving them room for injuries or other factors. I think teams can trade them a player to not take another player… So if they were going to take a player a team wants… Instead of trading them back to them, they could probably work out a trade or something instead… Like Kings famous for trading Kimmo Tiomen or how spell his name for Galley :). Vegas should think about getting Bill Torrey to help them even to consult :). If they have to hit 60% for the draft they might take a bad contract to buy out or like Islanders had Tim Thomas who never played… Example this year Datsyuk if he leaves for KHL since he is over 35 still counts 7.5M on the cap. Something like that might free up space for the next season to sign free agents or youth. I know a few decent hockey sites, I used to like Cap Geek now they got like 10-20 sites like that. The one I mentioned in this post seems like it stole or paid for the software that CG used ;). Sad how the owner of that died, I had messaged him to tell Toffoli is a RW not a Center… He insisted on him being listed wrong, even though he won award in AHL as Rookie RW… AT the time maybe had 3 career faceoffs which even a RW like Ward has more ;). He had a great site, really cared, so shame he wont see Vegas. I don’t like to post links on other sites since some people get upset by that who run them ;). Remember some of those rules are to prevent players from getting dumped then bought out… They had a plan to trade like Vinny from Tampa to Toronto to buy him out then Tampa re-sign him… So they wanted to make sure nothing shady or costly to players income happens. Owners have their pros/cons to expansion so they make structure to keep everybody happy enough to approve. Notice how all these young players were stashed… Then they have rule they can’t take like players unless they are in league long enough combined with games played. Most teams already have things setup for 3 D to protect with 7 forwards looking over the rosters. I’m almost 100% sure they knew at least a season or two prior this was a done deal. Just looking over all the trades that might seem odd at time or keeping young players in minors an extra year. Bishop had a NMC, now does Tampa keep him or the young goalie who is in early 20’s. If both are on Tampa I’d say Vegas drafts the guy they expose. Chicago has like 7 players with NMC clauses, probably will be a limit of 1 NMC player per team able to waive it. Vegas might want a player who has that, over somebody a team would rather keep etc. Also who is there as UFAs or RFAs that Vegas could sign to an offer sheet a team can’t compete against.